Something Better to Come, Hanna Polak's unique 14-year chronicle from Europe's largest garbage site, features on the cover of our print edition of FILM. Pick up your copy in Amsterdam or find it at dfi.dk/filmmagazine. Our IDFA magazine carries all the articles made available here in our Digital Issue and also brings stories about films and filmmakers that are written exclusively for the print version. For instance you can find news about the two films pitching at IDFA Forum, Janus Metz’ Between Two Worlds and Andreas Johnsen’s Bugs. Johnsen was in IDFA competition in 2013 with Ai Weiwei The Fake Case. Find a copy in Amsterdam at the venues listed below. 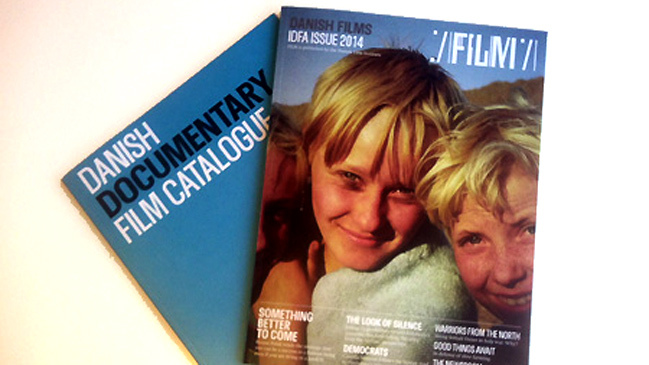 You can also explore the magazine online at dfi.dk/filmmagazine. Should you be in Copenhagen, FILM is available in the foyer at the Danish Film Institute.